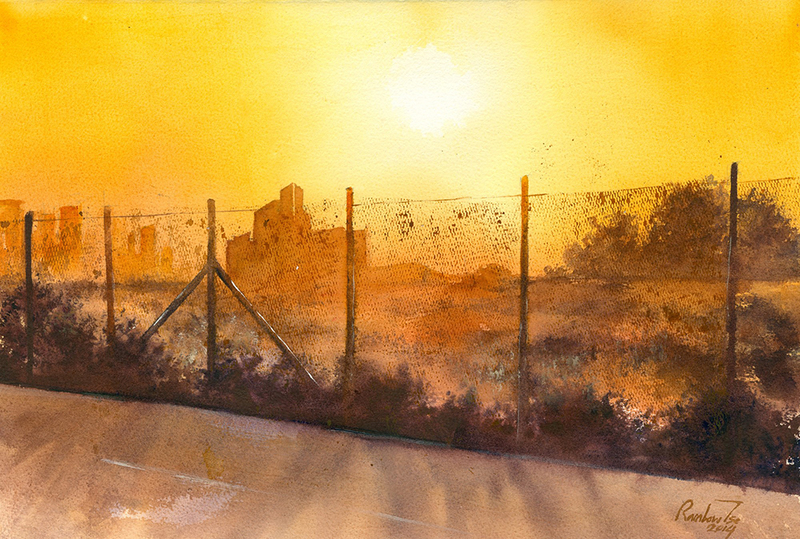 I paint watercolour landscapes and cityscapes. I have always been drawn to environments because of the way they can express so much. The way that one environment can hold so many different memories and experiences with different people, I find this a fascinating area to explore in my art. 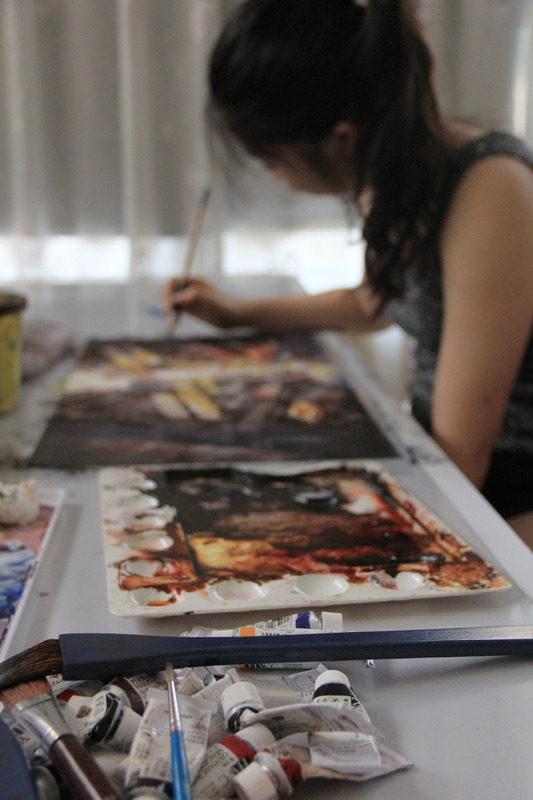 I started painting since I was small, but I only began watercolours a few years ago. I began to explore with colours and perspective in my paintings, as I was fascinated by ‘plein air’ paintings as well as digital paintings. That’s how it all began! 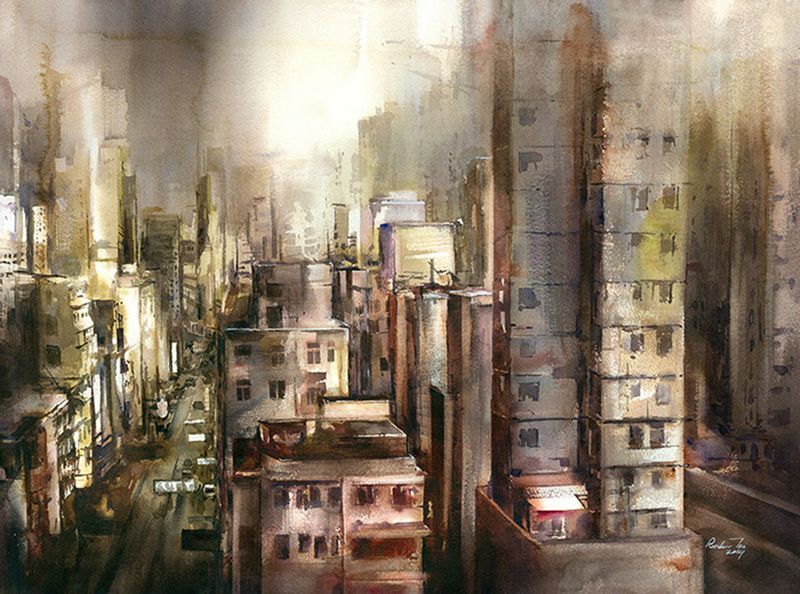 Why do you paint with watercolour? I paint with watercolours mainly because I like the variation with the aspect of water involved. The way that there is always a little difference in effect every single time due to the flowing properties of water. I source my inspiration from the environment around me. I usually begin with an idea, a sort of mood or feeling I want to portray in the piece, then work on the compositional aspect – colour palette, perspectives – before starting to paint. Where is your favourite place in Hong Kong? Wow, there are so many great places in Hong Kong, all the lights and building gives out the city vibe. But I am actually quite interested in older parts of Hong Kong such as Shum Shui Po, the architectural structures and the close buildings bring a different type of beauty. Have you painted the place? I have painted a few pieces based on Shum Shui Po before, one of the main reasons I wanted to paint a piece based on the area, was to illustrate the other side of Hong Kong that is less known with the ‘city of lights’. When I paint back in the studio, I don’t paint from photos but rather refer to them as architectural references – to pin-point specific characteristics that makes the place unique and recognisable. Art in many ways opens up the way I see things. It gives me different perspectives, allows me to communicate visually without the barriers of language.